Tips: Click on the question "Q" to view the answer "A"
What's the payback on panels in terms of the energy taken to produce the panels? In the past few years there has been talk that solar panels never produce enough energy to recover the energy cost of making them. Unfortunately this is something that has persisted since the early days of PV development and, back in that early development was true. Panels produced in the last 5 years, however, have an energy payback period of 1-2.5 years under most Australian conditions. This value is improving all the time as manufacturing techniques become more and more advanced within the PV industry. In fact, recent investigations by a number of research institutes, including Stanford University in the US, identify that the panels produced over the next 5 years will, in their lifetime, produce enough energy to cover the energy costs of the entire PV industry to date. How much carbon does the average solar system save? The answer to this question is strongly dependent on where you live. Since you use your solar system to offset the need for conventional generation it really depends what conventional generation is used. For example, in France the primary energy source is Nuclear power which actually produces very little carbon dioxide compared to other common forms of generation. So the carbon offset of PV systems in France is actually relatively small. However, in Australia the primary fuels for generators are coal and natural gas. Note that these figures do not take into account the carbon expenditure required to mine the resources. The average residential solar system is just over a 2kW system but for multiplicities sake we’ll round it off to a flat 2kW. Given this, the average annual energy yield from a 2kW system is approximately 3200 kWh. Note that this will vary strongly between states, as the solar resource is very different depending on your location. Therefore, the average solar system in Australia will prevent between 1.75 – 2.05 tonnes of carbon dioxide going into the atmosphere per year, depending on the mix of coal and gas generation it is offsetting. To calculate your own approximate carbon offset you can use the table below. All values are given for a 1 kW PV system (1 kW of panels matched to 1 kW inverter). To get your own carbon dioxide offset annually or over a 15 year period just multiply the values by the size of your system. What are the five main criteria when choosing a solar installer? A very easy, first step for investigating an installer is to do a quick internet search on them. Are there a multitude of horror stories out there? Or conversely, is there high praise for their services? 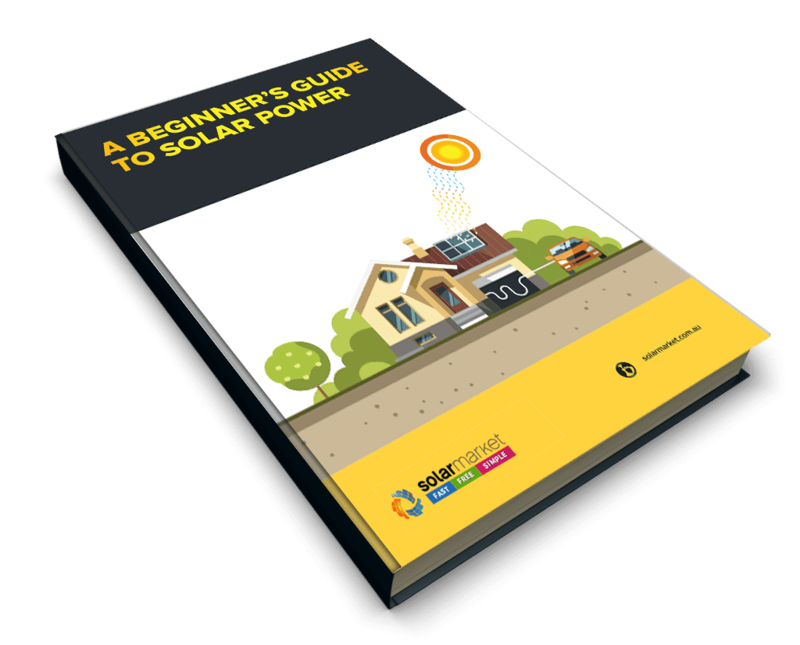 Do any of your neighbours, mates, co-workers or family members have a solar system that they could share their experience in selecting an installer? This first criterion can make it very easy to narrow down the list of potential installers to contact. What products is the company selling? You should be able to find out either from their website or a quick phone call what brands they are selling. If the company can’t tell you what inverters or panels they will supply you, then that’s an immediate red flag. One very important thing to note is that some companies re-brand solar panels or inverters as their own. Though there’s nothing inherently wrong with this, the company should be able to tell you what the actual brand of the panels/inverter is. Once you ascertain what the products are, another quick internet search to get a quick impression of how good the products are will be most useful. Remember to look at multiple sources, as one guy on the internet saying a product is rubbish doesn't make it so. However, if 80% of the reviews you look at say it is then it’s more likely to be the case. All this research can seem like a pain but you should develop at least an idea of brands independent of the installer’s sales pitch. This can be another indication of if the installer is reliable; if he’s trying to talk up something the whole internet is saying is rubbish then maybe they aren't the best company to go with. This one should be almost redundant, but it's a good check to make anyway. All installers should have the proper certification for installing PV systems. That means they should have both a valid electrical licence and be accredited with the Clean Energy Council. Without these, they cannot legally install PV solar systems and the PV systems will not be eligible for any available government rebates. So at this point, your list of potential PV installers maybe a bit more refined and you’re probably ready to have a home consultation with a few of them. From a home consultation, we would expect that the consultant takes a look at the roof and the power bills and provides a number of options for what sizes would best suit the house and where the system can be placed. If there is shading that occurs on the roof where the solar system is likely to go, then the solar consultant should either be able to perform or organise a shading analysis for your roof. This will provide you with an estimate of how much energy you will generate over the year. Given there’s some options for system size and configuration (north or east facing etc.) on the table, the next thing I’d want to know are what do the financials look like? You want a clear explanation of where the return on investment comes from as well as things like the payback period on the system. If they've given you potential systems, they should be able to do a calculation based on those sizes to give you specific figures based on those systems. Don't expect a solar consultant to be an absolute expert on solar; after all they aren't the technical staff for the company, but they should have a basic understanding of what they’re selling. In our experience, if the sales staff is competent in this way then it’s a good indication of the quality of the installer. This is linked somewhat to the products and consultation criteria. Throughout the whole process, the company should be able to give you information about your system and your potential purchase. For example; some background information on the panels/inverters, where are they made? What are the terms of the warranty? How will the system perform during the year? What is the average daily output, etc? With regards to performance, the company should be able to tell you what how many kWh your system will generate, give or take 10% for weather. To sum it up , you want an installer with a good reputation, who carries decent gear and can provide you with all of the important answers, with explanations that make sense. What you don’t want is a lot of bluster and sales pitch, with nothing to back it up. What qualifications do solar installers require? An Electrical License – or be working under the supervision of an person with an Electrical License. Accreditation with the Clean Energy Council of Australia. The CEC provides training and constant updates on installations of PV systems. This is particularly relevant given the bulk of wiring in PV systems is DC which has different requirements to AC wiring which most electricians will be familiar with working on. A PV system can receive government rebates ONLY if the installer is CEC accredited. My supplier wants me to put down a 50% deposit. Is this industry standard? In general, the industry standard would be around 10%, with the balance paid on the day after installation is completed. If an installer does request 50%, consider this to be a warning sign and consider using a different supplier. Technically you can install the panels yourself. However, given the high DC voltages and currents associated with solar panels, we strongly recommend that you have your solar system installed by an accredited solar installer. Furthermore, solar panel systems must be installed according the requirements of the Small-scale Renewable Energy Scheme in order for them to be eligible for small-scale technology certificates (STCs). These certificates can be assigned to a registered Agent (such as a retailer or installer) in exchange for a financial benefit, such as a discount off the invoice. Can I expand my system later down the track? The simple answer is yes, you can. Would we recommend it? In most cases, no. If you know you’re going to want to expand your system later, it’s much better if you can just get that expansion with the initial installation. Why? Because installing the full system from the get go saves money and potential problems. Let us take the example of a 4 kW inverter with an initial installation of 1.5 kW of panels. The 4 kW inverter will draw the same amount of power regardless of the size of PV array it’s connected to; therefore you are operating your system at a lower efficiency. Your inverter has an expected life of 15 years. If the inverter is only running a 1.5 kW array for say, the first 3 years then that’s 20% of its life gone. That’s 20% of its life where it has 2.5 kW of unused capacity that you've paid for but is giving you no return. In this example, 3 years have gone by and the system is now being expanded to 4 kW’s of panels. You now have to pay for a second installation. Not only is this a second call out fee but there is additional time required for the installation crew to inspect the previous work done. So you’re out of pocket already by having to pay for two installations versus just the one. If you have a spare MPPT (input) to the inverter and can fit all the new capacity on the second input then Problems #4 and #5 can be ignored. However, if any of the new panels have to be linked to the old panels, then these two items do apply. Three years down the line, the panels that you have connected to your system are no longer available. The same brand may be about but they have a new model with slightly different specifications. Worse still, the same brand is no longer available and you have to just find the closest match. This creates, what are called, mismatch losses. This means that the PV array is compromised and loses efficiency because the panels do not behave in the same way and the inverter has to compromise between the two types of panel. The result is less than optimal power output which means less return on your system. This is similar to problem #4. Even in the case that the exact same model panels are available and installed, the panels you've had up have been operating for 3 years and have experienced some degradation. The way a solar system works is that panels linked together will be limited by the weakest element in the chain. So your brand new panels can only perform as well as the degraded panels which means you've lost the benefit of whatever the difference in power output is between your old and new panel x3 years. If you've already got a well designed system in place e.g. a 4 kW inverter with 4 kW of PV panels and decide that you want to increase your output by going to 4.7 kW of PV panels then by all means go ahead. However, if you want to get an array far smaller than your inverter capacity with the intent of filling out the rest of the capacity later, either go for the full capacity you want now or settle for a smaller inverter. Filling out the capacity later on loses you a lot of financial benefit, compared to if you simply installed the full system from the beginning. Can I install panels over multiple roofs? It is possible to install solar over multiple roofs, that face different directions. However, it is only recommended to do this if your inverter has more than one Maximum Power Point tracker (MPPT). Generally only inverters of 3 kW and above have more than one MPPT. The amount of electrical current that is produced by your panels is governed predominantly by the amount of sunlight on it and the voltage of the array*. What the MPPT does is vary the voltage of your PV array so that it’s always at an optimum point to produce the most power. If you have panels across multiple roofs, the maximum power point for each roof face will be different. Since the MPPT can only operate at 1 voltage at a time, you lose out on efficiency by not operating at the maximum power point for at least one of your roofs. If your inverter has multiple MPPTs, then each one can operate independently to get the optimum amount of power from each roof facing. You can install solar over multiple roof facings but you will lose efficiency unless you install each roof facing on a different Maximum Power Point Tracker (MPPT). The data sheet for your inverter model will tell you how many MPPTs that inverter has. *For those of you that remember the equation: Power = voltage x current. You might say that it doesn't matter what voltage you have because current will be proportional and give you the same power anyway. However, in a PV panel, this isn't true since the current will be independently affected by voltage as well. What are the 5 main criteria for choosing an inverter? If you look at a Ferrari and a Daihatsu next to each other you know that the Ferrari is better. The Daihatsu is still a car, but you would never expect it to perform at the same level as the Ferrari. Inverters and Solar Panels are the same; not all of them are equal. This is fairly common knowledge with cars, but less so with PV equipment. This is compounded by the fact that most of them look pretty similar. This guide gives a few key criteria to look for when shopping around for an inverter. While you may not be familiar with any particular brand of inverter it doesn't take much research to at least get an appreciation for a brand’s quality. 10-15 minutes of internet research, particularly on the Whirlpool forums, are usually enough to get an impression of a brand. What you should be looking out for, is if there is a lot of negative feedback on any of the inverters. For instance, if there have been a lot of complaints of a certain unit failing, then maybe it’s one to avoid. Conversely, a lack of discussion is usually indication that it’s new to the market and its qualities are not yet well know. Every inverter has a voltage window that it can operate a string of panels in and a maximum input current. If you have already chosen what panels you want to have installed, make sure that the inverters you’re looking at will operate well with those panels. The solar company you are dealing with should be able to tell you what configurations of panels you can have on your selected inverter. If you want to get a 4 kW array, but the inverter you’re looking at can only handle 3.8 kW of that particular panel, then you may want to consider looking at a different inverter. When you purchase an inverter it should be clear what is required of you, should you need to use the warranty on your inverter. If you are going to be required to pay for everything but the actual replacement/repair of the inverter, then that manufacturer is one to avoid. A good indication of a reliable brand is that they have an office or representative in Australia to deal with directly. Generally, this indicates that servicing and troubleshooting is available quite easily and more importantly, that the company will still be around if you have any issues a number of years down the track. Monitoring refers to the ability to review your systems historical production, as well as how you can view the information. For example, all inverters will have a LCD display of sorts that will allow visualisation of current output of your system. Others may show some historical graphs whilst yet other may allow remote connection via Bluetooth or internet connections, allowing you to examine your solar systems performance remotely. If you are interested in this feature, then you should examine what capabilities the inverter has for monitoring, particularly if you are interested in doing it remotely, via your smartphone, tablet or PC. Can I put more capacity on my inverter than its stated size? The short answer is yes you can. In fact the capacity you can put onto your inverter is more dictated by the voltage of the PV array rather than its kW capacity. What this capacity ends up being is very much linked to what inverter/panel combination you have. However, what should be noted is that if you have a 3 kW inverter and can put 4 kW of panels on; the maximum output from that inverter will still be capped to 3 kW. So what’s the point of putting additional panel capacity on? In another article, we discussed why you won’t get the full output of whatever your nominal panel capacity is. So, if you know in summer the very most you’re going to get out of your 3 kW array is 2.4 kW then why not increase the size of your array so that you do get that full 3 kW? The example below shows what happens when we put a large amount of extra panel capacity on (again assuming voltages are ok for the inverter). You can see that in summer the peak of the curve is capped at the inverter power rating. In general, the energy gained from over-sizing your PV array is greater than the energy the amount you lose from the inverter capping off the top of some of your summer days. In most cases you get a better return on your investment by over-sizing the PV array because you better use the capacity of your inverter across the year. It is possible to add more panel capacity onto your inverter than what your inverter is rated at. How much more you can add on depends on the voltage of panels you use and the voltage range of your inverter. However, the maximum power output will be limited to the rating of the inverter. In almost all cases, it’s a good an idea to put more PV capacity than inverter capacity. Because of the way solar works a PV array of the same capacity as the inverter doesn’t fully utilise the capacity of the inverter. Increasing the size of your PV makes better use of the capacity of the inverter you have payed for. What is the best location for my inverter? The way these inverters work is that they operate 1-2 panels each and so they must be connected very close to the panel. For these types of inverters you have little choice in placement and typically they are attached underneath or to the back of your solar panels. Standard inverters will either be rated as indoor or outdoor inverters. Generally, indoor inverters are cheaper since they don’t need to be built to withstand weather affects such as rain. Most people prefer to have these installed in a garage so that they are out of the way, but still protected from the elements. It is critical that the inverters have free air space around them, so that they don’t overheat. If it is placed in a garage, ensure that the usual clutter that ends up there doesn’t surround your inverter. These are usually found in garages/carports or on the sides of houses if there is an awning or some shade that keeps them out of sunlight. The key rule still applies, you want to avoid getting inverters too hot because they will lose efficiency and in worst cases reach their heat limit and shut themselves down; so plenty of air space around them and no direct sunlight. What's the difference between standard inverters and micro inverters? Standard or Central inverters are the more common type of inverters and most PV systems will use this kind, with its capacities measured in the kW, the smallest typically being 1.5 kW ranging up to 5 kW at a residential level. A central inverter is a single large unit which has all the PV panels connected to it in strings. It is typically located further away from the panels, in a location where its LCD display can be easily viewed e.g. garage wall. Central inverter systems are available at a lower cost than Micro inverter systems. However, they will have slightly lower performance than Micro inverter systems under normal conditions and significantly lower performance if your PV array is setup across a multitude of roof faces and/or has partial shading on some of the panels. Micro inverters are much smaller than central inverters and have smaller capacities – usually around 200 to 250 W. A micro inverter will manage 1-2 panels in your PV array and are mounted, usually on the back of a PV panel. Since many micro inverters are used rather than a single central, unit the outputs of all the micro inverters must be brought together at a junction box before being fed to your grid connection. Since micro inverter systems have a lot more hardware required than central inverter systems, they tend to be more expensive. However, micro inverter systems perform better than central inverter systems because each panel can be optimised individually and so even if one panel is shaded the rest of the PV array can still work to optimum. 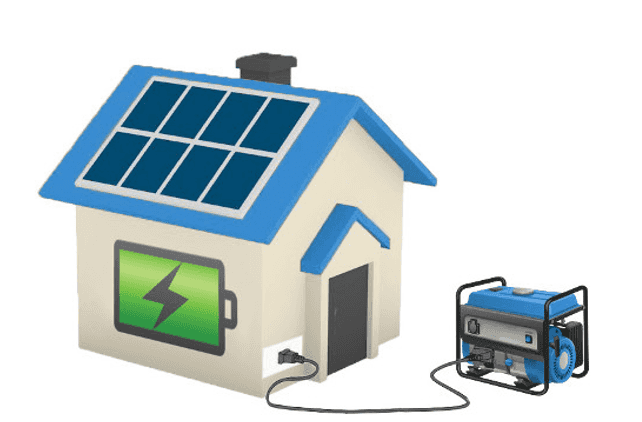 What are the five best solar inverter brands in Australia? 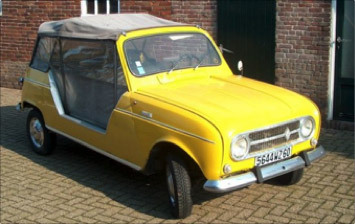 SMA is a German manufacturer that has been around for a good number of years. They are a leader in the inverter manufacturer field and deservedly own a large share of the inverter market. SMA is known for their quality, level of service and exceptional monitoring capabilities. They are an easy choice for first place. Solar Edge fell just behind SMA because of a pricing element. They have a slightly different setup which uses 'power optimisers' on each panel as well as a central inverter. While this system does cost more it also allows each panel to be operated and monitored independently. With connection via a web portal your system performance can be viewed from any computer you want as long as it has internet access, meaning it has one of the best monitoring solutions out there. Aurora is an Italian brand that has been around for a while and has a good reputation in the industry. They are a well priced reliable unit. The indoor model particularly, feature excellent and informative LCD displays. What lets Aurora down is the lack of a good monitoring solution without buying additional attachments. However, if you don’t much care to monitor your system then this is a very solid inverter. Fronius and Aurora are very close and really Fronius is an equal 3rd to Aurora. As with Aurora these are a very reliable inverter that has been proven in the market over a long period and has a good reputation. However, as with Aurora what pushes these guys down below Solar Edge is the lack of good in-built monitoring. Though there are monitoring solutions in place they are an additional cost and do not come built in like the >2kW SMA and Solar Edge inverters do. Delta Inverters are another solid option with all the main criteria. They are a solid quality build, they have a presence in Australia and they have a warranty that fully covers the full gambit of replacement costs. What’s put them 5th on the list is the size of the units and their limited flexibility for system design. By sticking with a transformer these inverters are bigger than their transformerless contemporaries. Additionally with only one maximum power point tracker even at the 5 kW range means that you can only use one roof face which limits where these inverters can be effectively installed. Summary Any of the above inverters are excellent for use in a residential PV system. All of them have good reputations for excellent build quality, technical support within Australia and warranties that don’t put you out of pocket if you need to use them. If you choose to go with something different to any of the above though, be sure that whatever inverter you choose has these same qualities. The worst thing that can happen is that you end up buying something that won’t last, is a hassle to get repaired/replaced and leaves you with a hole in your wallet. What is the Feed-in tariff in my state? The Feed-in tariff varies from state to state. However, what is consistent across all states now is that any new connections will be under a net tariff. What this means is that you will only be paid the feed-in tariff on energy you send back to the grid, not just how much energy your system generates. While there has been complaints about the reduction in feed-in tariffs, what is often overlooked is the original idea behind solar systems; to meet and offset your own energy needs. In analysing the financial viability of a solar system you must also look at how much energy you do not need to purchase from the grid because of your solar system, not just what energy you get paid for in exporting back into the grid. No, STCs are not means tested. Yes, on different addresses. However, if you wanted to claim STCs on multiple systems at the same address you must prove that each system is independently eligible. This means that premises at the same address must be clearly separated from the other premises. For example on a dairy farm, the farm buildings and residential house would be counted as two separate premises and both are eligible to separately apply for STCs. A garage or other small building located near a house would not count as a separate premise so only one application for STCs could be done. How do I apply for STCs? Sign over your STCs to the company installing your panels for an upfront discount on your system. Retain your STCs (and therefore receive no rebate on your PV system) and use an Agent to create and process your STC’s. Retain your STCs, create and sell them yourself. The easiest option is signing over your STCs to the company installing your system as they will have the handover documents prepared for you to sign. If you choose to trade your own STCs then an agent can be used to simplify the process though this will obviously have a cost. Otherwise you can trade your own STCs by completing the correct documentation and registering through the REC Registry and then either finding a buyer for the STC’s or trading them through the clearing house. What is the rebate I can receive? The Government offers Small-scale technology certificates (STC’s) for installation of residential solar PV systems. The number of STC’s received is dependent on the size of the system purchased and the state that the system is bought in. Solar Companies will often give you the option of transferring your STCs to them for an upfront discount on your PV system. The value of discount offered may fluctuate over time as the value of STCs varies like a stock. Alternatively you have the option to retain the STCs yourself and sell them through the Renewable Energy Certificate (REC) clearing house. However, this option is not usually taken up because of the complexity and time taken in selling STCs through the clearing house. What are the 3 best solar panel brands in Australia? Founded in 1985, SunPower’s global headquarters are located in Silicon Valley, California, USA. With more than 750 industry patents and the world record holder for the most efficient rooftop solar panels, SunPower are at the forefront of the solar PV industry. More Power / Same Space – SunPower holds the record for the highest efficiency silicon solar panel, which means you can create more power, on smaller roof spaces, with fewer panels (or leave more roof space free for future expansion). Industry Leading Warranty - SunPower pioneered the solar industry’s first 25-year combined Power and Product Warranty. And unlike most solar warranties that cover just the panels, SunPower's warranty also covers transport and labor costs to uninstall and re-install the panels. This makes Sunpower one of the safest, long-term solar power investments. More Energy / Higher Savings – SunPower now guarantees at least 98 per cent power for the first year, followed by a maximum degradation rate of 0.25 percent each year thereafter for 24 years. This results in an unprecedented 92 per cent power level at the end of 25 years. This is compared to conventional solar panels, which guarantee only 80 per cent after 25 years. Reliability / Durability - Conventional cells lose power over time because of cracking and corrosion. 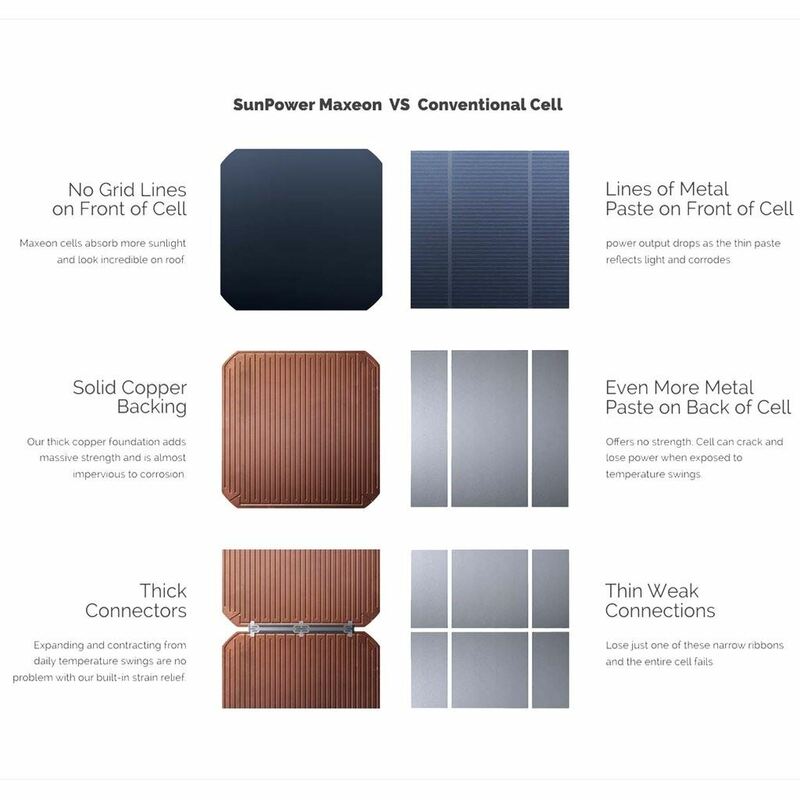 Sunpower’s patented MAXEON cells have a solid copper cell foundation with thick connectors designed to expand and contract. This unique design eliminates 85% of the reasons why conventional solar cells fail. 1993 - SunPower solar cells power a Honda car to victory in a 3,000km car race across the hot Australian outback, beating second place winner by one full day and shattering the 1987 record set by General Motors. These days it’s routine for SunPower to provide solar cells to power the fastest solar race cars worldwide, including all of the top finishers in the same Australian race. 1997 - SunPower solar cells power NASA's Pathfinder, an unmanned, remotely piloted, solar-power, high altitude aircraft. 2001 – SunPower solar cells power NASA's Helios project, achieving a record altitude of 96,863 feet. 2009 - PlanetSolar chooses SunPower solar cells to power the world's largest solar catamaran and the first solar boat to circle the globe. 2011 – SunPower solar cells power Solar Impulse, a prototype solar airplane, that for the first time in aviation history succeeds in flying for 26 consecutive hours powered only by solar energy. It went on to set eight more world records when it became the first solar airplane to fly through the night, between two continents and across the United States. 2013 - During a five-week exploration of the Greenland icecap, NASA’s Rover and its two SunPower panels handled temperatures as low as -22° F, proving that SunPower solar can endure some of Earth’s harshest environments. 2014 - SunPower solar panels awarded Cradle to Cradle Certification for sustainable manufacturing processes. The first and only solar company to achieve this recognition. The history of LG’s solar business can be traced back to the mid-1980’s, when the LG central research laboratory started R&D on solar technologies. Today, LG’s solar unit is at the forefront of product development for solar panels. More Power / Same Space - LG NeON®2 panels are rated at 330W per panel, whereas many conventional 60-cell panels achieve only a 275W rating. The LG NeON®R can produce an even more impressive output with 360W and 365W models. Industry Leading Warranty - Like SunPower, LG offers a 25-year parts and labor Product Warranty which includes the cost of shipping and labor cost. Lower Degradation than industry standard - Solar panels degrade over their lifetime and produce less electricity each year. Most panel manufacturers warrant a degradation of approx. 20% over 25 years. LG’s NeON panels have a very low LID (Light Induced Degradation), due to the use of N type treatment of the cells which uses phosphorous as a replacement for Boron. Award Winning Solar Cell Technology - LG’s “CELLO” Multi wire busbar cell technology lowers electrical resistance and increases panel efficiency, giving more power per panel and providing a more uniform look to the panel. The LG NeON range has won the highly respected Intersolar Awards in Germany for Photovoltaic Innovation three times in 2013, 2015 and 2016. In the Choice test conducted between October 2015 and October 2016 the LG NeON® 300W won against 15 competitors as the highest output per watt panel. LG solar won the EUPD Research “Top Brand” in Australia Award in 2016 and 2017. When you buy from WINAICO, you are buying products from a manufacturer specialising in premium-quality solar panels. Unlike many solar panel manufacturers that prioritise cost-cutting over quality, Winaico use only high-end components and have strict quality controls to ensure the quality and reliability of their panels. 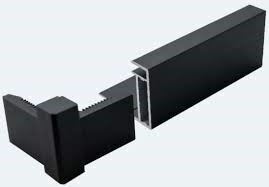 The Frame - In contrast to corner joints with mitre cuts or threaded connections, Winaico panels have solid aluminium L-keys which provide greater torsional stiffness and waterproofing in the critical corner areas. Free Insurance – Winaico offers a unique 2-years Whole-of-System insurance. The insurance covers every component of the system and also protects the end client against Loss of Yield, Interruption of Service and all risks. 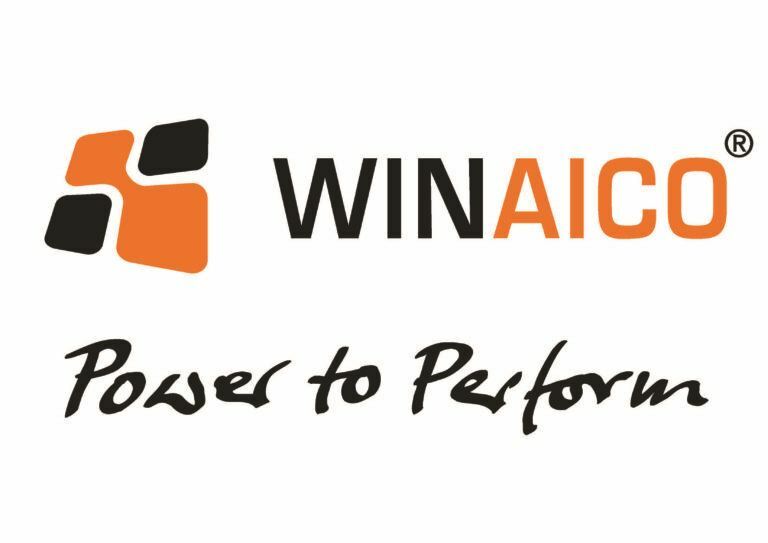 15-year Product Warranty - Winaico panels provide the second longest product warranty available in the market. In comparison, most other panel manufacturers offer only a 10-year Product Warranty. Are German solar panels the best? The Germans have a reputation for producing the best quality solar PV components in the world – and rightly so. Germany has led the way in producing the best and most consistent manufacturing methods for solar panels. This extends to the point where some factories are entirely automated for the whole end to end process. There are two reasons why an automated end to end process is important; quality control and millimetre accurate precision. The only solar panels worth buying are those that are from a ‘Tier 1’ manufacturer. Tier 1 manufacturers take raw materials and produce solar panels. Tier 2 or tier 3 companies on the other hand, may only produce some parts of the panel and buy the rest, or at worst buy all the parts separately and just assemble the panel. You want a tier 1 manufacturer to ensure that every piece is designed to fit perfectly with every other part of the panel and the quality control is consistent throughout. The second reason why you want a panel with the rigours of manufacturing the Germans put in is because solar panels are not simple beasts to put together. In fact tiny differences can have huge impacts. Take for example a phenomenon known as Potential Induced Degradation (PID). PID can cause a panel’s maximum output to fall quite dramatically in the first 2-3 years of service. A panel with PID protection may drop to 98-99% of its original maximum output in that early life, whilst a panel without PID protection would drop to, on average, 94-95% of original output. The difference between the two panels? The first panel’s anti-reflective coating is uniform across the panel. The second panel, however, had less than a millimetre’s thickness of irregularities over this same coating. That’s a 5% difference between the two just from a single layer of the panel – and not even one of the layers that is involved in producing power! Does this mean German panels are better than Chinese panels? Chinese panels are more of a mixed bag than German panels. Generous incentives from the Chinese government have led to a large number of panel manufacturers appearing. Some of these companies are very good, Tier 1 companies. However, there are a number of poorer manufactures taking advantage of the incentives scheme they have in China. What this means is that, while a good number of Chinese brands are of similar quality to German brands, you need to be more discerning when looking at what specific Chinese brand you buy. Are all German panels made in Germany? If they aren’t made in Germany are they worse? The German solar industry has gotten to a size where it has customers worldwide. To base all manufacturing in Germany and then have to ship panels to places like Australia becomes very costly; which would reflect in the price of the panel. Therefore multiple German companies have manufacturing plants in a number of diverse locations. An example is the German solar panel company Conergy. The Conergy panels that arrive in Australia are manufactured by their Malaysian factory. This by no means indicates that the panels are any worse; in fact the factory in Malaysia is built as an exact replica of the completely automated factory in Frankfurt Germany. Are Chinese solar panels any good? For a long time, Solar panels from China have had a stigma attached to them with regards to their quality. For some manufacturers, this isn’t entirely undeserved but, there are a lot of good Chinese panels that suffer under this blanket assumption. Where did this stigma come from? In 2009 the Chinese government began offering significant incentives around solar panel manufacturing in order to produce a strong solar industry within China. This was very successful in that government incentives made it very easy to setup a solar manufacturing facility and significantly lowered the cost of production. This in turn allowed China’s solar panels to be sold more cheaply than panels manufactured in other countries resulting in less external competition for China’s manufacturers. However, the drawback to this scheme was that it incentivised more than just the parties interested in making a quality product. The result was that China had and still has a more diverse spectrum of manufacturing quality; from the very good to the very bad. Unfortunately the lowered cost of manufacturing and the close proximity to Australia meant that it was very affordable for both the high quality and low quality manufacturers to sell their product to Australians. This is where the problems arose. In essence it boils down to two main factors; you only hear about problem products and all the products look the same. Firstly, people who are happy with their system tend to just have it installed and then say nothing about it. However, people who have troubles with their system become very vocal. So the only Chinese panels widely discussed were the bad ones. Secondly, solar panels are visually very hard to differentiate. 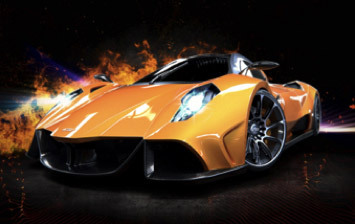 If you look at the following two images, even if you know both come from the same place you can tell that the car on the right is probably going to be better than the car on the left. But if both cars look the same and come from the same place, and you only ever hear about the bad ones then the stigma starts to grow that all cars from that place are bad. So how do Chinese panels compare to German panels? The Germans are undoubtedly the great innovators of solar panel technology. They are great at pushing the limits of efficiencies and improving manufacturing techniques to be more cost effective. But, while the Germans lead the way, the Chinese make good practice of copying the good ideas that come out of German research as well as making a few of their own. This means that the leading Chinese companies tend to produce panels that are similar in quality to their German counterparts. German panels in the market appear to have be consistently high quality whilst, as has already been discussed, Chinese panels vary wildly with manufacturer. This view is skewed though, by the fact that China, being a very close neighbour can afford for even the inferior solar panel manufacturers to export to the Australian market, while only the biggest and the best German manufacturers can afford to bring product here. In summary, there are a good number of high quality Chinese solar panel brands on the market but you need to do some research in order to sort the good from the bad. If I install solar, what happens during a blackout? All grid connected solar systems will and must disconnect from the grid during a blackout. In the case of 99.9% of residential connected solar systems, that means that the solar system will shut down. There is a very good reason for this and that reason is safety. In either case, there are probably going to be line workers coming to work on the powerlines not far from your house. When they get there, because the grid has been turned off they are going to be expecting that those powerlines they are about to touch are completely dead. However, if you’ve got a neighbourhood down the road with PV generation, that’s going to mean those lines aren’t dead. This is a very real danger for anyone working on them. There is a situation where a local generator remains on, even when the grid goes down. That is called "Islanding". Australian standard 4777.3 dictates that any grid connected inverter (such as in a PV system) MUST disconnect from the grid with 2 seconds of the grid going down through some kind of anti-islanding scheme. What’s the simplest way to disconnect your system from the grid? Shut it down. Why can’t I just have a switch which takes me off the grid but leaves my system on? Earlier we mentioned that 99.9% of residential PV systems shut down when the grid shuts down. This is because it's the easiest way to ensure that the PV system doesn’t island. You can make it such that the PV system will remain on AND you’ll be disconnected from the grid. However, this is much more complicated, and therefore much more expensive. This method involves splitting your household load between grid-connected and PV-connected loads. What this means is some appliances, for example your pool pump, are connected ONLY to your PV system. So your grid connection and PV connection are isolated from each other. This means you can still run your pool pump when the grid is off but also means you can not run it if the sun isn’t shining. In this instance you add a disconnect switch where you connect to the grid. This switch must operate automatically within 2 seconds of the grid going down so as to be the same as the constraints on a PV inverter. Inside the house, your electrical setup must be adjusted such that the solar system will have a pathway to inject electricity to your house even if your grid connection is cut. Additionally, the PV inverter you purchase must be setup for off-grid functionality, which not all off the shelf inverters are or have the capability for. A solar system will disconnect during a blackout for safety reasons. Shutting down is the simplest and cheapest solution to making sure the system is disconnected. While it is possible to make it such that the solar system will not shut down during a blackout the expense and inconvenience far out weighs the benefit. This is particularly true in most areas of networks where the frequency and duration of blackouts is low. What are the 4 main criteria for choosing solar panels? There is a very big problem with choosing solar panels; they all look pretty much the same. For the most part, they’ll all work pretty much the same week one out of the box too. However, with a solar panel what you want is high quality performance over a long period and that’s where you see the separation between brands happen. The better and yes, generally more expensive brands, will give that performance and longevity. Meanwhile on the cheapest end of the spectrum I've seen panels of such poor build quality that after the first couple of rains, water made it inside the front surface, calcified part of the cells and rendered the whole panel useless. After that the manufacturing company couldn't be gotten hold of so no warranty could be used and would be too expensive to pursue. So to avoid this entire headache, its best to choose a good set of panels from the start. As it happens the criteria for this are very similar to the criteria for choosing the inverter that goes with your panels. If you can’t find any info on the brand then it’s performance isn't well know. In that case it might be best to steer clear. Some companies have been known to brand solar panels with their own company name. Currently there is no solar panel manufacturing in Australia so if the company isn’t willing to tell you what the actual brand is then that’s a good indication then it’s not a good one. This is a big one. It is required that the process for actioning your warranty be expressly written with your warranty document. In particular, it should precisely say what the company is responsible for and what you are responsible for. What you want to see is that the company will take on the entire cost for removing, transporting, replacing and reinstalling any defective panels within a defined time period. Companies that aren’t willing to make this commitment probably aren't confident enough in their own product, so you probably shouldn't be either. This is related to the warranty issue but extends to all types of support. It also is an indication of the quality of the product and the probability that the company will still be around in at least the next 5-10 years in case you need support in the future. Ideally, you want a representative or a contact to be based in Australia. This also results in quicker turn around times for any support/warranty issues. The type of panel you buy e.g. mono/poly crystalline or thin film will be influenced by the roof you want to install on. For example, if it’s at the front of your house then there might be aesthetic concerns. In which case you may want to select a frameless thin film panel as people generally like the look of these more. If you have a large unshaded roof , you may choose mono/poly crystalline to maximise the energy yield, because they have higher efficiencies. If you have a roof that is partially shaded for part of the day, but you still want to maximise what you can get out, you may choose thin film modules because they operate better than crystalline modules under shading. These are all design related questions that your solar company should be able to guide you through. Do panels need to be cleaned? Most people think that you need to clean your panels. Really, there is no need unless there's something significant on them (like a flock of birds have been camped on your system). Dust build up has almost no affect on your production and gets washed off by rain. So, unless you’re really worried about it, there’s no need to get up there. But if you do want to give them a wash, use clean water (no soap) and try not to get water on the underside of the panels. A quick rinse with a hose should do the trick. Especially remember not to touch the panels if it's been a sunny day, as they can get up to around 70˚C in a short time. Do panels degrade over time? All solar panels will degrade over time. Life spans of a solar panel are approximately 25 years with variations depending on location. All solar panels are affected by what is called LID or light induced degradation. Without getting into too much detail; light causes atoms in the solar panel to split into positively and negatively charged particles. The flow of negatively charged particles (electrons) is how we get electricity. The positive and negative particles then recombine to re-form the original atom. However, the number of recombinations is limited. Over time, less and less recombinations are able to occur and then the output of the panel start to decrease. On a good panel, you can expect that over a 5-10 year time frame the maximum output of the panel would drop by up to 5%, whilst a lower end panel can drop by up to 10% and possibly more. What effect does hail have on panels? Construction of solar panels is required to meet international standard IEC 61215. In this standard the requirement is that all solar panels should withstand a hail stone of diameter up to 5 inches at terminal velocity without sustaining damage. Though some panels, particularly the higher quality ones may be able to withstand more than this it should be assumed that any hail of greater than inch in diameter will cause at least minor damage to your panels. At best, if your panels are damaged by hail it will cause some fracturing on the surface of the panel reducing the efficiency of that panel. At worst, the hailstone could entirely fracture a large portion of the panel rendering it unusable and in need of replacement. In summary, while hail could damage a solar panel, the likelihood is very small and occurrences are extremely rare. How does solar save me money? The best way to look at how a solar system saves money is to look at the price of grid connected electricity and the 'Levelised cost of Energy' from your solar system. Levelised cost of Energy is a measure that basically looks at the cost of each unit of energy your solar system produces. This is done by taking the price of your solar system divided by the amount of energy that system is expected to produce in its lifetime. For this the life of the inverter is used because it has the shorter expected lifespan (15 versus solar panels (20-25 years). The precise figure for each system is dependent on the price of the system, the location it is installed, if there is any shading on the panels etc. However, typically, a well placed residential solar system will have a levelised cost of energy of approximately $0.11/kWh. That means that you are effectively paying $0.11 for every unit that solar system produces, though obviously that cost is all bundled up into one up front payment. Every time you use a unit of energy from your solar system, that’s one unit of energy you didn't need to buy from the grid. That one unit of energy cost you $0.11 versus the $0.22 it would have cost you to buy from the grid (WA Residential Tariff). So every unit of energy that you get from your solar saves you fully half the cost it would otherwise be from the grid. Over 15 years this saving will increase since that $0.11/kWh is fixed for the life of the system whilst electricity prices will only increase over that period. What warranties come with a solar system? What should I look out for? Buying solar is about the same as everything else; you get what you pay for. If you buy the cheapest stuff on the market you can expect the lowest performance and unfortunately a high chance of failure. For this exercise lets imagine you’ve checked your system and noticed that the inverter is on but it’s showing no power being produced. So you’ve checked your panels and noticed that one of them looks like waters got in and part of it has gone a milky white. The nature of 99% of residential solar systems are constructed so that if one panel in a string fails, then the whole string can’t make any power. So you’re going to want to get that panel replaced pretty quickly! That’s when your warranty comes into play. The workmanship/materials warranty covers the construction of the panel and would cover issues that may not have a massive effect on performance but still make it unsuitable for long term use. An example would be if the DC connector points on the back aren’t mounted correctly and are loose. They may still allow electrical charge through but it’s not suitable for long term use. Every panel has a performance warranty that guarantees the output of the panel for a set amount of time. These warranties vary from company to company but guarantee a certain level of output depending on how long the panel has been installed. 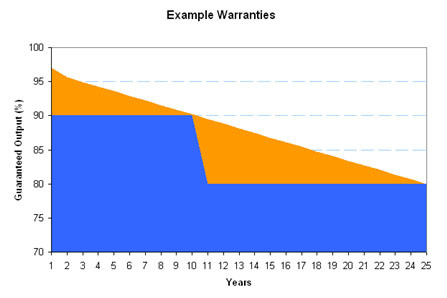 Generally there are two types, a step warranty or a linear warranty. If you can get it, a linear warranty is preferred and generally is only offered by higher quality panels because the company is more confident in their product. So, under our hypothetical situation with 0% performance, due to workmanship problems we would reasonably be covered under both warranties. This is where the difference in companies really sticks out. This is one of the points where getting what you pay for is definitely true. For the mid to higher end of the price scale the warranties generally cover this whole process and most companies have a presence in Australia which helps speed up the process. On the lower end only the testing of the panel and repair/replacement is covered. That said, testing is only covered if they find a problem with the panel, otherwise you have to pay for that as well. A quick call to customs Australia reveals that the shipping and customs charge for the two-way transport runs at about $1600 without all the other charges. In the end, it would be cheaper to just buy a new panel. When purchasing a solar system, check closely what the warranty action is if any component fails. On the cheaper gear, the warranty could not be worth the paper it’s written on if it doesn’t cover the end to end repair/replacement process. If I install solar, what happens at night? At night your solar system will shut itself down. This includes the inverter, which means you won’t be able to read its display and see any information from it until the sun comes up in the morning. While this may be a bit of an inconvenience if you wanted to check your production for the day, the system does this for a very good reason. During the day when your panels are producing power the inverter uses some of this power to operate itself. At night without any power from the solar panels the inverter would have to draw power from the grid to operate itself, which is exactly what the solar system is put in their to avoid – drawing from the grid. A few inverters may have small battery storage to run the displays etc. through the night. However, because of the added expense and size it takes to include the battery in the inverter versus the small gain in convenience, these types of inverters are almost extinct. Is a bigger solar system always better? Back when there were considerable feed-in tariffs, such as the $0.60/kWh feed-in tariff seen in NSW, a bigger system was absolutely always better. You wanted to pump as much power as possible to the grid to cash in. However, with feed-in tariffs being closer to $0.08-0.10 /kWh, it is prudent to design a solar system based on your own power requirements. As mentioned in another article, when you pay for your system up front you expect that it will produce a certain number of kWh over its lifetime. If you divide the cost of your system by that expected number of lifetime kWh you get what’s called its Levelised cost of Energy. This is the approximate cost to you of each unit your solar system produces. Typically this values floats around $0.11/kWh with variations depending on specific systems. While it’s likely that the Levelised cost of Energy will come down as PV becomes cheaper, $0.11 is still close enough to the feed-in tariffs’ $0.08-0.10 /kWh value that you aren’t really making any money when you export power back to the grid. It's best to size your system so that you are just meeting your requirements throughout the year. This may mean getting a system slightly bigger than your summer requirements, so that you meet your winter requirements. But even in this case the system is designed against your energy use, not as a generator to export bulk power to the grid. What are the main factors affecting solar production? There are many different factors that will affect how much your solar system will be able to produce. These factors range from panel/inverter design and construction to PV system design to positioning of the system to environmental affects. Let’s assume that you’ve bought a decent quality system and it’s been designed correctly. What are the main factors that are going to affect your production? With the maximum height of the sun in the sky varying through the year we get variations in how much solar we can produce. In winter solar production is lower whilst in summer it is higher. The further you get from the equator the more this difference between summer and winter is seen. A good example is to think of the northern parts of Svalbard in Norway which experiences approximately 6 months of constant sunlight and 6 months of darkness. So up there your PV system would be exporting huge amounts of energy every day during summer, whilst in winter your production would be nothing. Cloud cover is an obvious one but worth mentioning. If cloud passes over your system it will have less sunlight reaching it meaning less production. In places like the north coast of Australia this is more significant than the seasons described above. Being close to the equator means there shouldn’t be that much variation in solar production due to the summer/winter trend. But there is a variation because of the additional cloud cover in the rainy season. Somewhat annoyingly, the hotter a solar panel is the less well it performs. So a solar system will perform slightly better at 11 am than at 1 pm, even though they may be getting the same amount of sunlight in each case, because at 1 pm the panels are hotter. As much as possible, solar systems should be designed to avoid shading. Basically shading drastically reduces production unless you’ve got a special setup (e.g. micro-inverters). While this is acceptable early morning or late afternoon if you’re just cutting off the tail ends of your production time, you don’t want shade across your panels at midday. The pitch and orientation of your system plays a big part in how you generate power. For example a west facing system will peak later in the day giving you more solar power when you get home, while an east facing system gives peak power in the morning. Additionally from a yearly perspective this factor affects the magnitude of seasonal variation. The least seasonal variation between summer and winter is seen by systems orientated due North with a pitch equal to the latitude angle of the location they are installed. Any move away from this increases your summer/winter variation i.e. higher summers and lower winters. What's the effect of shading on a solar system? Shading is something to absolutely avoid when designing a solar system. The reason being is that it has a massive impact on your production – even with what you might think it's only a little bit of shading. This is especially true of both mono and poly crystalline panels, which are the most common kind of panel installed in the world. So, by massive impact, how large are we talking about? Where the shading is on the panel makes a big difference on what sort of effect you’ll see. Electrically, the majority of PV panels are divided into 2 ‘zones’, although some of the larger panels maybe divided into 3 ‘zones’. If we get shading on just one of those zones then the effect isn't as bad. However, even partially shading that one zone can lead to a reduction in output of up to 60%. Worse still is if the shading affects both zones at once, for example shading the bottom of the panel. In these cases even just shading the bottom row of cells would reduce the total power output of the panel by 90-95%. 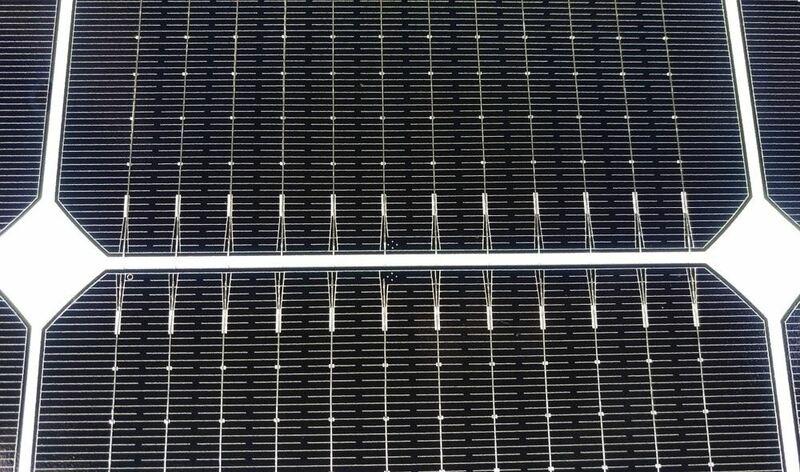 In a typical solar system with a central inverter, a string of panels is limited by the worst performing panel. So if one of your panels is shaded that reduces the whole output of that string. Now, with all that said, it can sometimes be impossible to not have some shading on your panels, particularly in early morning or late afternoon. If the shading is at these times then it’s not so bad. The early morning and late afternoon are low production times of the day anyway, so taking 90% off that isn’t going to have a huge affect on your daily output. However, if you’re getting shading in the middle of the day then that’s a big concern and you should definitely look at taking steps to avoid/remove that shading object.